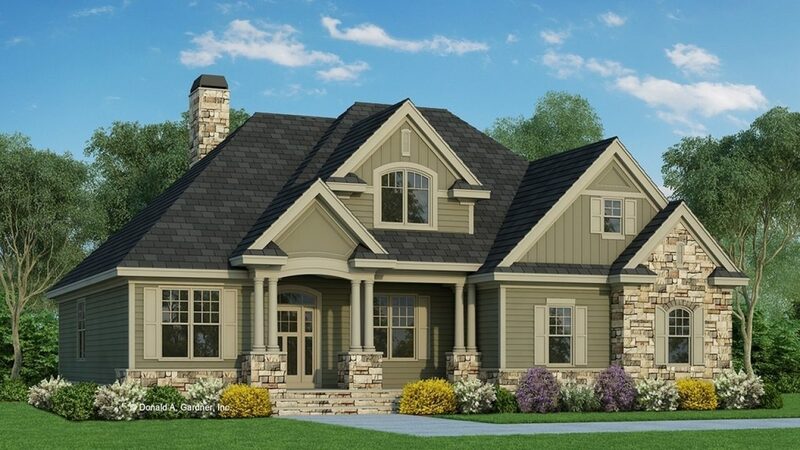 This traditional home features several gable peaks and a triplet of columns to create a stunning facade. The interior layout positions rooms for ultimate privacy and convenience. A vaulted ceiling and fireplace accent the great room that also overlooks the kitchen and rear porch. Skylights brighten the back porch, showcasing detail to even the outdoor living area. The kitchen’s angled serving bar serves as a divider between the kitchen and great room. Tucked away in the rear of the home is the master suite. Two walk-in closets and an elegant master bath makeup the suite. For families that need extra storage space or constantly are tracking in dirt, the mudroom leads into the garage and utility room. Upstairs, a bedroom and full bath complete the home, while the bonus space awaits the homeowner’s imagination. Need a contractor for The Anthony? We can help.